Use our Free Truck Today! Gas and Mileage Free to Customer. A-American provides a driver for the truck at no cost. Customer is NOT required to have insurance for the truck. Customer is NOT required to rent truck. Customer is required to provide the man power to load and unload truck. 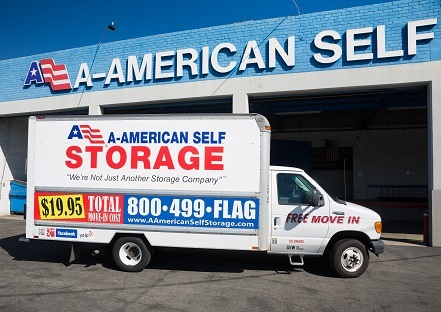 Offer valid for New Customer Move-in only, Rental of A-American storage unit required.